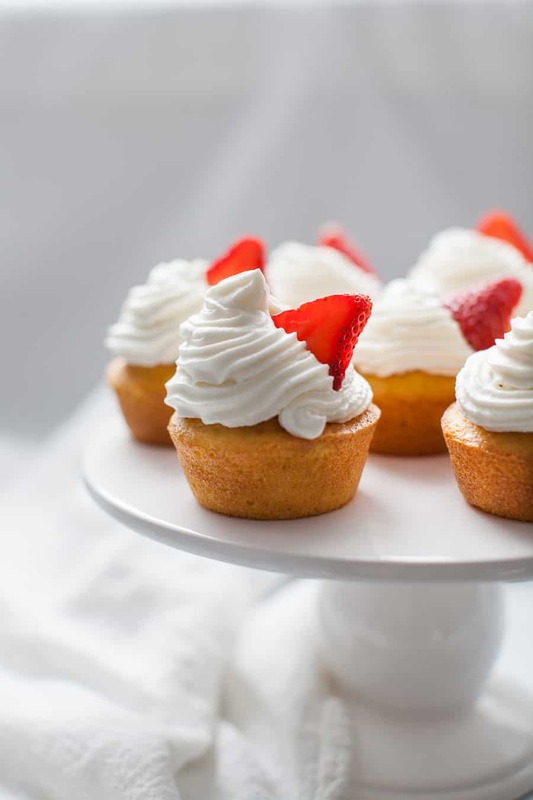 Strawberry Shortcake Cupcakes with Whipped Cream Frosting are the perfect dessert for any occasion. 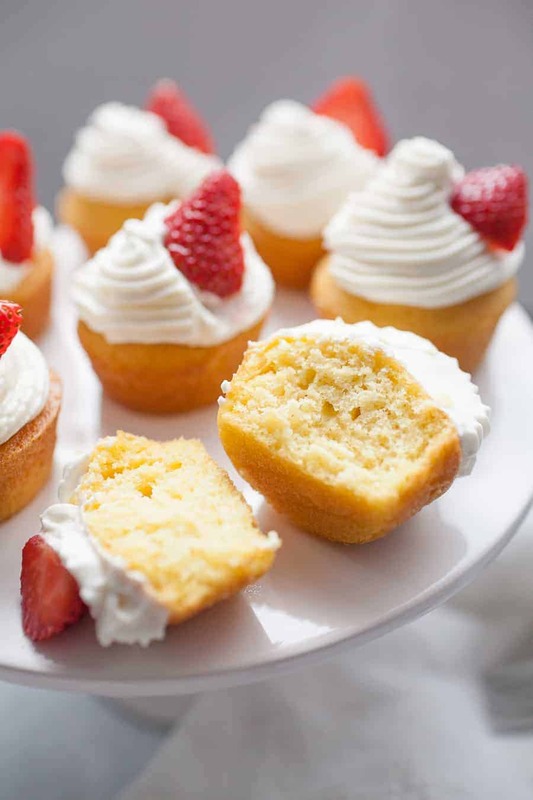 These cupcakes are light and fluffy and bring the experience of eating strawberry shortcake into a cupcake! Spruce up a boxed cake mix with a few add ins and your own homemade whipped cream icing that tastes just like the real thing. Top with a slice of fresh strawberry and you’re ready to share these cupcakes over a cup of coffee with friends! You know how some people like to take a run or drink a giant cup of coffee when they’re feeling stressed or just not themselves? For me, that thing is baking. I cook every day, but there’s something extra special to me about baking cupcakes, chocolate chip cookies, or a fruit crisp. One of the reasons I’ve discovered for why I love baking so much is that it’s an easy activity for my toddler and I to do together. He loves to help in the kitchen, and as he’s getting older he can continue to help me more and more. I’m all about baking from scratch when I can, but there are some days where I don’t have the time to do that. I keep a few boxes of Pillsbury™ Brownie and Cake Mixes around for those days where I want to bake something but don’t have a ton of time for completely made from scratch desserts. 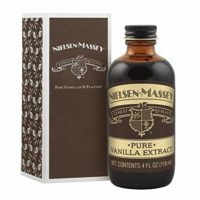 This is especially helpful on nights where we’re having company over and I want to make something tasty before they arrive. 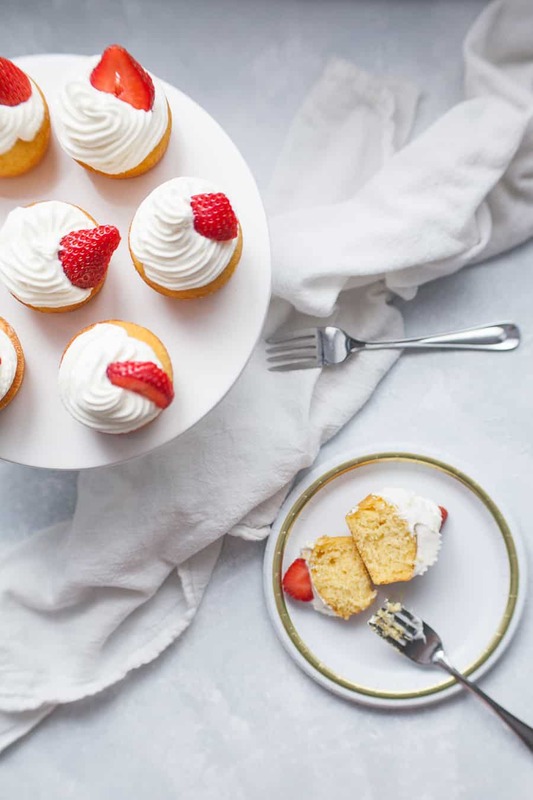 And I’ve got to tell you, these Strawberry Shortcake Cupcakes with Whipped Cream Frosting are the new go to in our house for sharing with friends. There are a couple of ways you can spruce up a classic box cake mix. I added a little bit of salt to make the cupcakes even fluffier and vanilla extract to make the cake flavor even richer. These two things went a long way in making these cupcakes taste extra delicious! 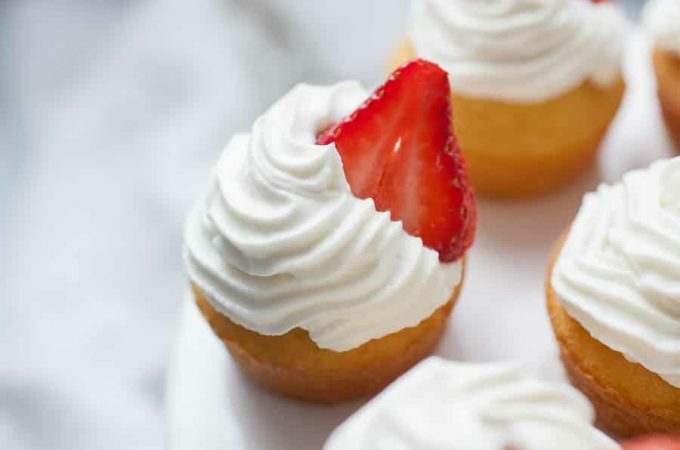 The process for making these Strawberry Shortcake Cupcakes with Whipped Cream Frosting is so simple. It’s so simple that you can easily recruit your kids to help make this recipe, probably without any involvement from you if your kids are old enough. Our son is almost three and he can easily handle most of this recipe, with the exception of using the electric hand mixer. We recently bought toddler safe training knives, so he even helped us slice up the strawberries to go on top! 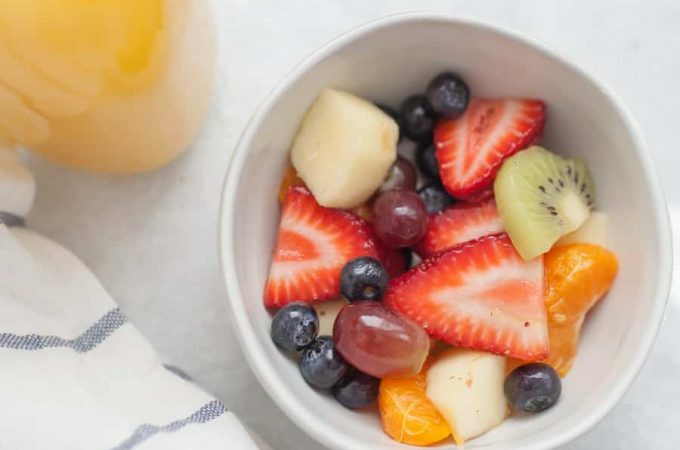 Start by purchasing the ingredients you need from your local Kroger. We shop at Fry’s Foods here and pick up what we don’t already have at home, in this case just the heavy whipping cream and strawberries. 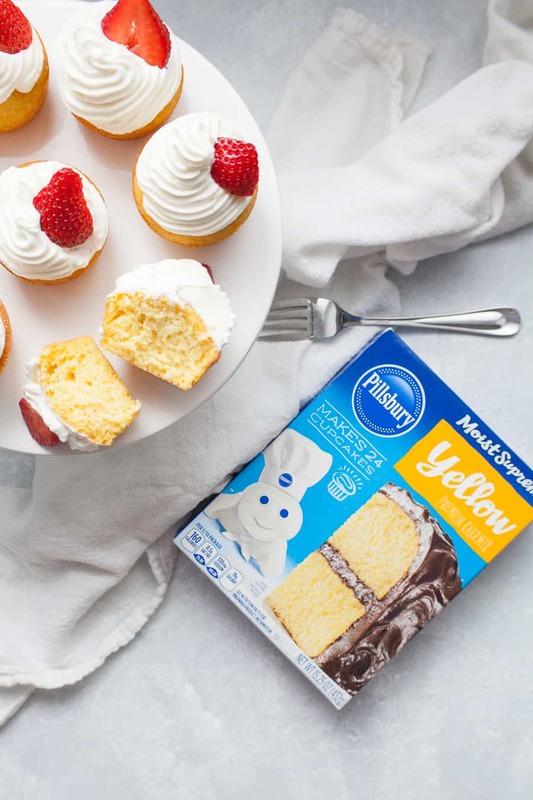 + Prepare the Pillsbury Moist Supreme Yellow Premium Cake Mix according to the package instructions with the addition of vanilla and salt for added flavor and fluffiness! + Make sure you bake cupcakes until they bounce back when gently touched or a toothpick comes out with cake crumbs on it. 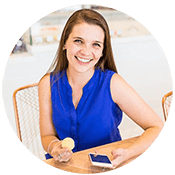 You don’t want wet batter on the toothpick or a clean toothpick. If the toothpick comes out clean, your cupcakes will likely be dry. + Cooling on a wire rack lets the cupcakes cool completely. This process can be sped up in a pinch by cooling the cupcakes on the wire rack in the fridge. But for the best, fluffiest cupcakes, cooling at room temperature is recommended. + A chilled bowl and electric mixer beaters will help the whipped cream frosting come together and hold its shape. Especially if you’re making these cupcakes in the summer time, this is a must! 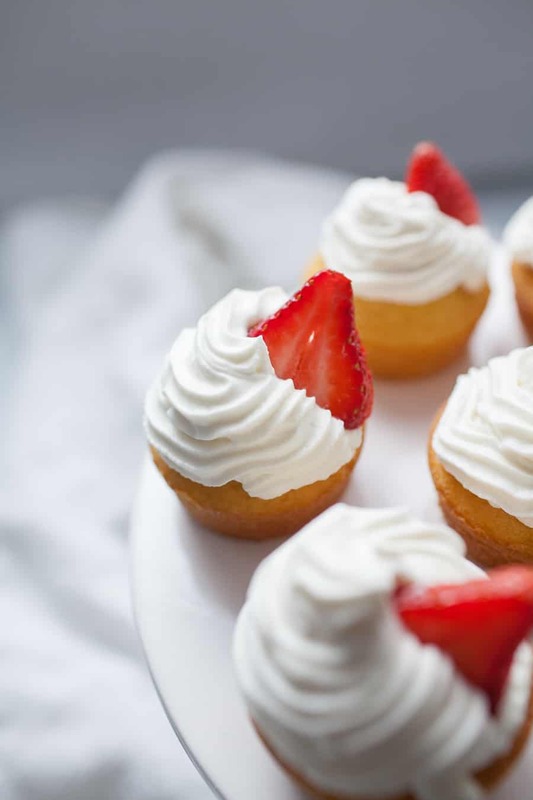 Strawberry Shortcake Cupcakes with Whipped Cream Frosting are the perfect dessert for any occasion. 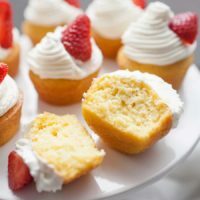 These cupcakes are light and fluffy and bring the experience of eating strawberry shortcake into a cupcake! Spruce up a boxed cake mix with a few add ins and your own homemade whipped cream icing that tastes just like the real thing. Top with a slice of fresh strawberry and you're ready to share these cupcakes over a cup of coffee with friends! Combine cake mix, water, oil, eggs, salt and vanilla. 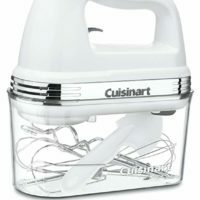 Whisk to combine or use electric mixer. 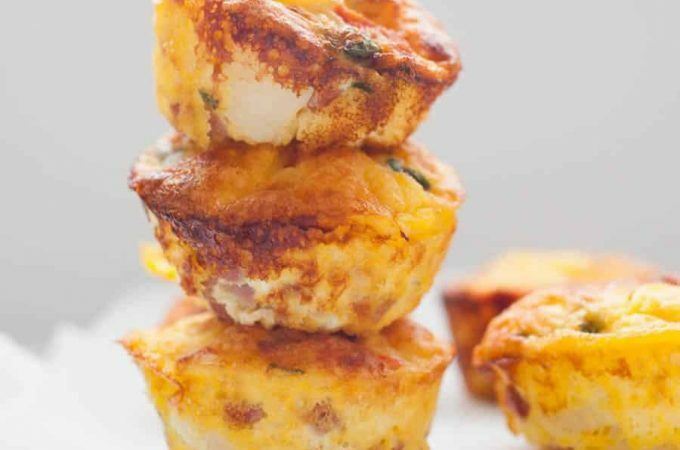 Divide equally into a greased muffin tin using a 1/4 cup measuring cup to keep the cups all equal. 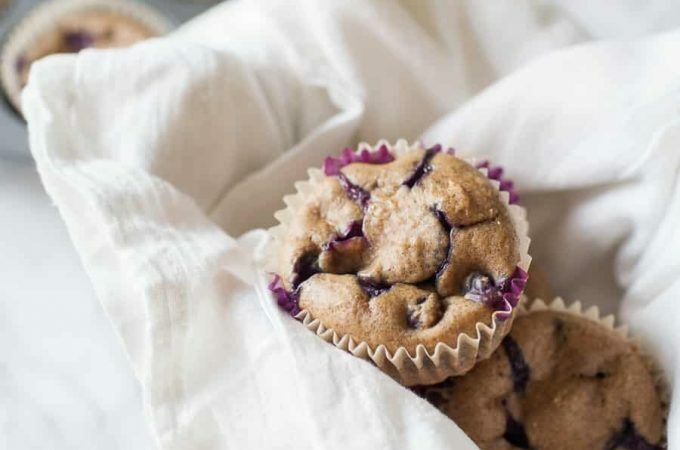 Bake at 350°F for about 22 minutes or until cupcakes bounce back when gently touched. 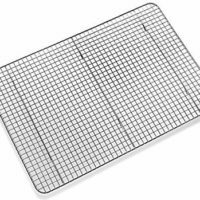 Allow cupcakes to cool in pan for 2-3 minutes, then remove them from pan and let cool completely on a wire cooling rack before icing them. Once cupcakes are on the wire rack, place a medium bowl for the frosting and your electric beaters in the fridge. When the cupcakes are cooled, take your chilled bowl and beaters out of the fridge. Beat one cup of heavy whipping cream on medium speed until cream is frothy and bubbly. Add in a teaspoon of vanilla, pinch of salt, and 3/4 cup powdered sugar, 1/4 cup at a time. After frosting comes together, use a rubber spatula or spoon to spoon frosting into a cake frosting bag with a star tip or just into a quart size plastic bag. Pipe frosting onto cupcakes and top with a slice of strawberry. If you prefer a homemade cupcake, use the base from these Lemon Buttercream Cupcakes. 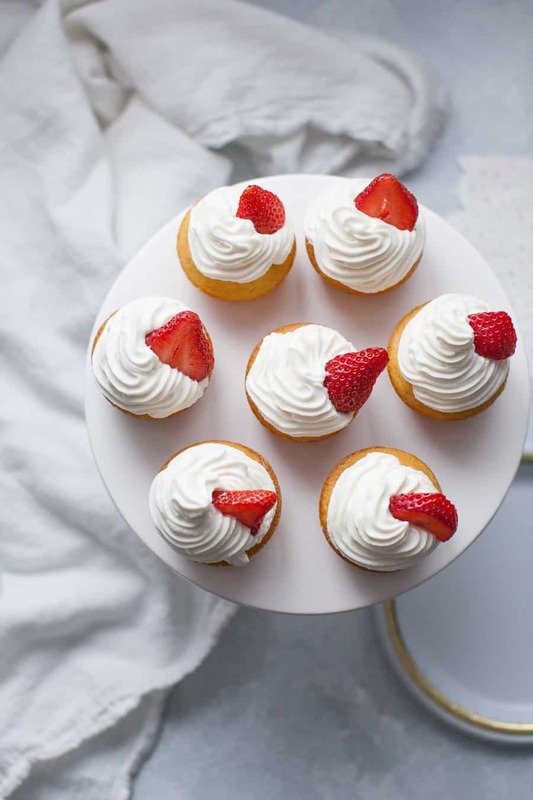 No matter what the occasion, baking these Strawberry Shortcake Cupcakes with Whipped Cream Frosting is a great decision! You can also find more recipes and ingredients you can find at Kroger on the Pillsbury brand page on Myxxrecipes.com. That frosting looks divine! I wish I had one of these right now for a sweet snack. I love to bake from scratch when I can, but when I’m in a hurry I like to do something like this where I dress up a boxed cake mix. The frosting is my FAVORITE part! I wanted it to be just like whipped cream but hold up enough for icing a cupcake. I’m so glad it worked out! And I’m totally the same way, love to bake from scratch but it’s not always practical! This is great in a pinch. 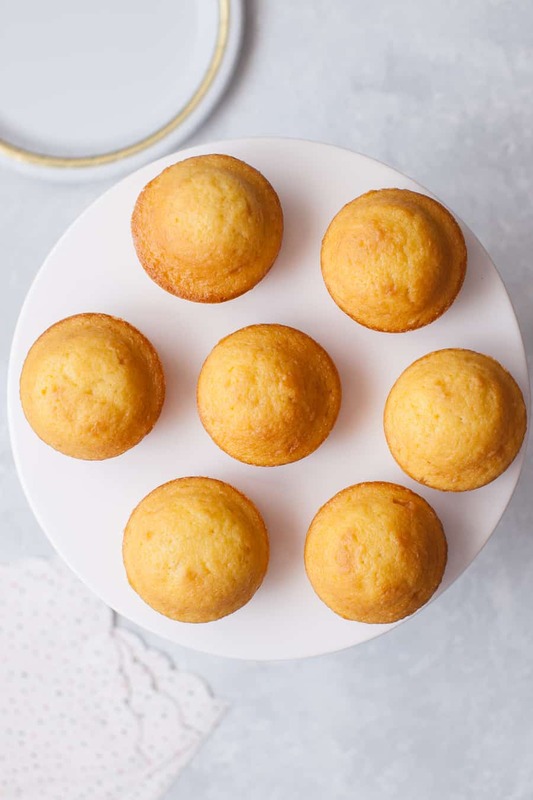 These cupcakes look so light and fluffy! Love the strawberries nestled into the whipped cream. Perfect little treats to bring to a family gathering this summer!